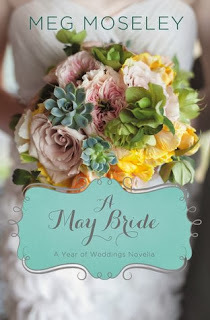 She’s prepared for her wedding all her life… but she forgot a few things. This novella started out great, with how the characters meet and start their relationship. However, once the relationship starts to progress, the feelings and chemistry between the characters is non-existent. Any emotion Ellie portrays is about her issues with her mother. I felt there was such potential since the characters were introduced well and likeable, but the connection I felt with them went flat when the author began to tell and not show how they fell in love... and it was brief at that. I don't think the heart of the story needed to be sacrificed because it was a short story, but instead Ellie's issues with her family were the focus and Gray played second-string not only to Ellie's family but also in the plot.